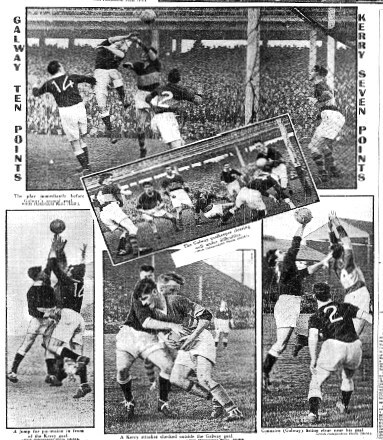 On Sunday the 23rd October 1938, at a less than full Croke Park, the crowd saw a tightly fought replay between Galway and Kerry in the All Ireland Football Final. With minutes to go and trailing by 5 points, Kerry rallied, but failing to score more than 2 points Galway were crowned champions. Among the crowd were large numbers of 1916 Rising veterans who were introduced to the crowd at half-time to great appreciation. Many had been there from earlier in the day for what would become an iconic photograph of over 350 survivors of the 1916 GPO Garrison. There was some delay while two of their colleagues were brought from the South Dublin Union. In the case of one of these two men it would be the only known photograph to be taken of him. His name was John Dutton Cooper and this is his story. The Coopers were one of that forgotten tribe of Dublin protestant working class artisans of the late 19th Century whose subsistence depended on the boom and bust of their profession. Samuel Cooper had been apprenticed as an upholsterer just as a golden age of furniture making in Dublin was going into decline. He had been born at 72 New Street on 5th May 1837, the second child born to John and Maria Cooper to bear that name. A previous son named Samuel had been born in 1829 but had died young. Samuel was 32 when he married Harriet Dutton in 1869. 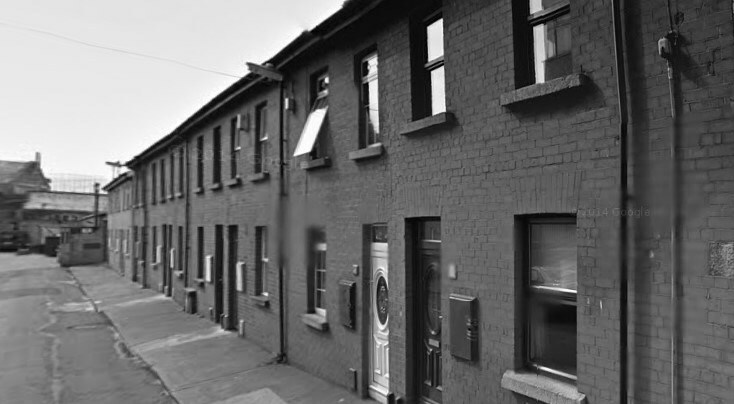 He was living in Aungier Street while she lived at 32 Camden Street and it was at Harriet’s parents house that their first son, John Dutton Cooper was born on 10th April 1870. The fortunes of the family can be trace through the births of their children showing the family on the move every 2-3 years. Black Pitts, McGronan’s Cottages, Bloomfield Place, and Bonny’s Lane were some of the stop offs by the Coopers until we find them in the 1901 Census at 20 Long Lane in the Liberties. Harriet was now working as a nurse while both she and her husband described themselves as Baptists a sign of the late 19th century evangelical revival in Dublin. On the other hand their son, John Dutton, described himself as a Free Thinker, a philosophy developed by the mathematician and philosopher William Kingdon Clifford in his 1870s publication “The Ethics of Belief”. Freethinkers held the viewpoint that positions regarding truth should be formed on the basis of logic, reason, and empiricism rather than authority or tradition. They believed in forming their own opinion on religion and other matters through the use of scientific inquiry and logic rather than set beliefs as outlined in texts such as the bible. This may have been a sign of rebellion against his parents and demonstrating his independence however it does show an inquisitive mind and an unwillingness to blindly accept the status quo without examining it first. By 1911 the family were all describing themselves as Church of Ireland again, and Dutton Cooper was working as a Druggist’s Assistant. (Chemists in those days made up their own medicines). In 1901 he had been studying the “Hygiene Art” but it doesn’t appear to have amounted to anything. As he was later described as a manufacturing chemist it seems likely that he served an apprenticeship at some stage. However it was usual, although not compulsory, to obtain a licence from or at least be registered with the Royal College of Physicians. A search through their records showed no results so it’s likely that he had some experience or apprenticeship but may never have actually sat any exams. Crucially during this period the Coopers had moved to 13 Aldeborough Parade (described at the time as ‘off Seville Place’). Aldborough Parade as it now looks. 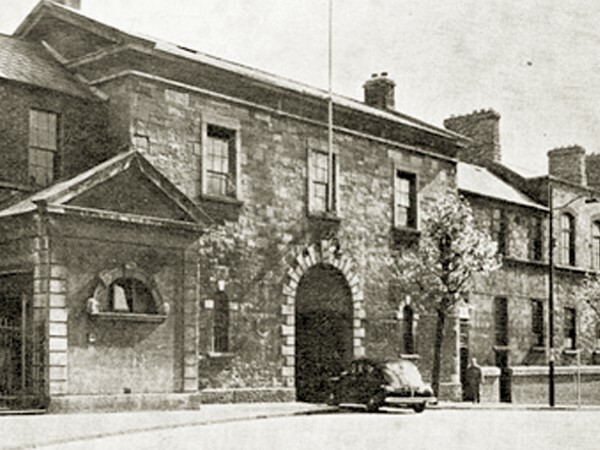 Seville Place was home to many of the successful cattle exporters who did business through Dublin Port. Like the North Strand Road it also contained the dwellings of artisans, craftsmen, and lower grade civil servants. However it quickly gave way to the poorly constructed cottages and tenements of the dockland workers who were the majority of inhabitants in the area. The same demographic was demonstrated in the Cooper’s Parish Church on the North Strand Road, known as the Ivy Church, the Rector of which, the Reverend Lewis Crosby played a very important role during the turbulent years of 1911 – 14. A man of independent means Lewis Crosby was deeply affected by the poverty among many of his parishioners and it was this that gave him common ground with James Larkin, leader of the ITGWU, in a effort to provide relief to the areas poorest. Lewis Crosby even went so far as to hire health workers to visit throughout the area in order to identify and relieve the poverty stricken. In 1911 a national strike of Railwaymen was organised in England. 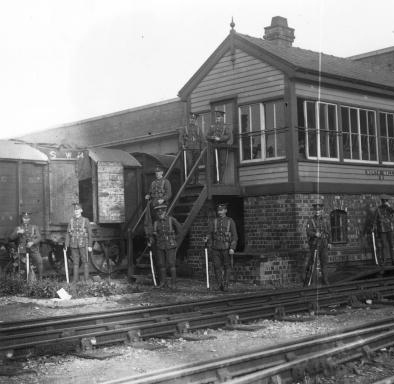 A sympathetic strike took place in Ireland with the workers of the London and North Western Railway walking out of work at the North Wall on the 18th August. It quickly spread through the staff of the Great Northern Railway at Amiens Street with other railways following. The National Strike was quickly solved but the Irish strike grew with sympathy strikes among the staff of timber merchants and ultimately the strike became about Trade Union recognition. Ultimately the strike was broken with many loosing their jobs and according to ICA man Peter Carpenter created the appetite and legacy among workers for what would become the Great Lockout of 1913. Living in the midst of all this, and dealing directly with it’s effects through his job as a dispensing chemist, affected John Dutton Cooper. 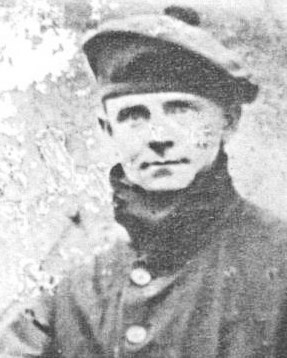 He became acquainted with James Connolly at this time and having moved to Lennox Street he joined the Irish Citizen Army (ICA) becoming part of the South Circular Road section either towards the end of 1914 or early 1915. Dutton Cooper had begun working as a traveling salesman for a company called Inks & Co meaning irregular hours which made a commitment to the ICA difficult. However he seems to have taken a keen interest in Kathleen Lynn’s medical classes probably due to his training as a chemist. The lack of documentation makes it hard to be certain but while Dutton Cooper may have logically calculated the righteousness of the socialist cause, he, like many conscientious objectors, may have been opposed to the actual violence involved in a revolution. Much of the burden of supporting his ageing parents fell on him by this time and the pressures of an on the road salesman meant he had less time to devote to other matters. In the 1915 mobilisation rolls compiled by Thomas Kain his name was crossed out. However on Easter Monday he found himself in the O’Connell Street area and witnessing a civilian being wounded went to his aid. The following day to went to the GPO to offer his services. Cooper didn’t take up arms, instead hauling coal from the basement, helped to erect barricades, and generally undertook non-military work. Eventually he joined the Red Cross section commanded by Dr. Jim Ryan under which he signed Brother Allen’s GPO Garrison autograph album. However in his pension application statement he says he acted as a stretcher bearer. 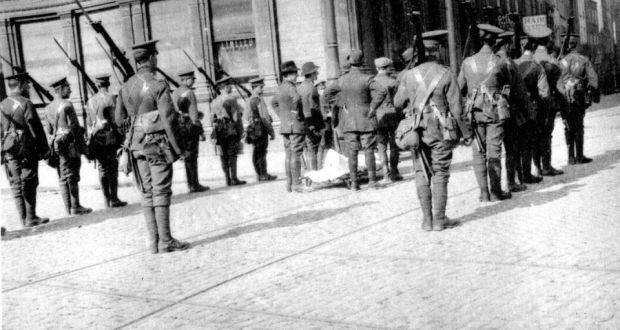 It was Cooper who brought the stretcher for James Connolly after he was wounded in Princes Street although Cooper was too slight to carry Connolly and so he handed that duty to others. On Friday he was evacuated with the nurses and wounded to Jervis Street. The following day he was arrested and taken to Kilmainham Jail from where he was deported to Wakefield and later Frongoch where he was held until August. Throughout his imprisonment Coopers family were assisted by the Irish National Aid Association until his release. He immediately made contact with Kathleen Lynn later rejoining the ICA when it began to regroup in 1917 but he found little in common with the other members and according to John Hanratty had difficulties accepting orders and discipline. By the late 1920s his health was in decline and by 1935 was a resident in the Protestant Hospital of the South Dublin Union. According to ICA man Edward Mannering, Cooper had been offered a pension application form by a visiting clergyman but found the process too complicated so he never applied. Intervening on his behalf the following year, veteran ICA man Frank Robbins wrote “Cooper is a pauper inmate in the Union. Perhaps you could do something for him and thereby give some practical demonstration of the nations gratitude to one who took a risk in its hour of need.” After a four year effort he was awarded a pension of six shillings per week of which five were taken for his keep. Of particular annoyance to Croke was the fact that the Union attempted to force him to sign over his pension leading him to refuse signing the drafts at all after they arrived. He felt this was illegal. Having served his country he couldn’t understand that that same country would take back the little pension it provided him with for what he saw as poor treatment by the Union. Bob Oman had similar problems with the Union trying to obtain his pension too. He arranged for the drafts to be sent to his sister then looking after his young motherless children. Oman had developed an infection while in detention in Gormanstown Camp with among others the same Minister of Defense, Oscar Traynor. This was diagnosed as Post Encephalitis or Parkinsonism, a viral infection leading to a degeneration of the nervous system which left him semi-permanently paralyzed, The Board refused to accept it was contracted due to military service. Despite being in incredible pain and under huge pressure to hand over his pension, Oman refused, trying to provide in some small way for his children with the little means available to him. At one stage, unable to write his name, he arranged for a local priest to sign on is behalf. 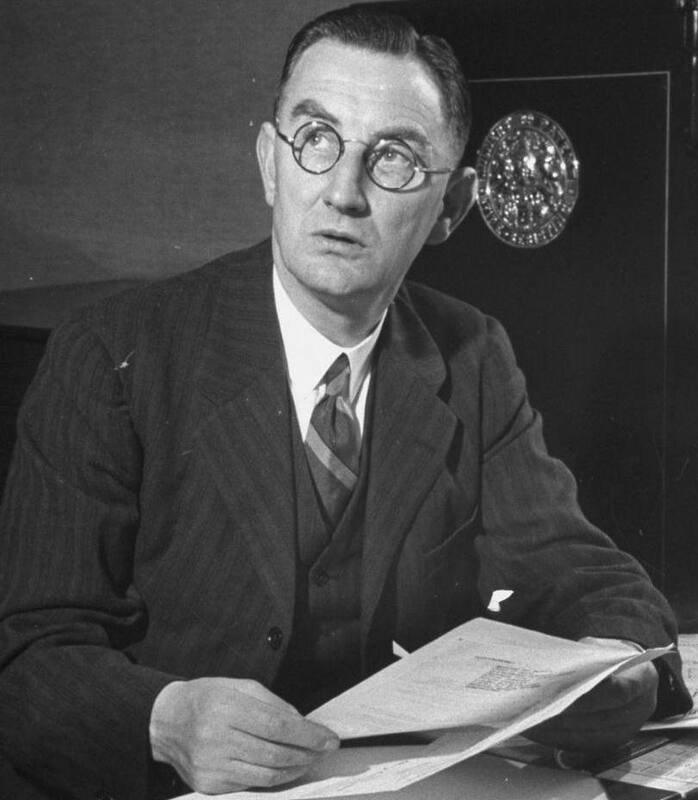 Following objections by Croke and a query by the Pensions Board, the Resident Medical Officer stated “ so many pensioners of every description seek admission here that the matter of their contribution towards their maintenance is one of particular importance to the Board of Assistance.” Croke died in 1942 and Oman in 1955. Surviving evidence suggests that they never handed over their pension money despite the continuous pressure. However Dutton Cooper doesn’t appear to have had much choice. 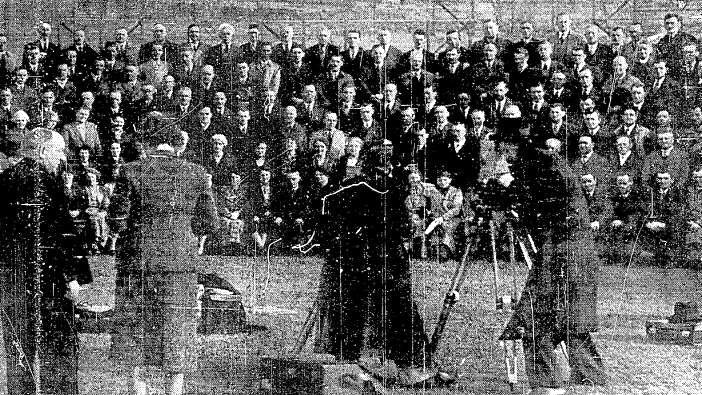 In 1938 , before the Galway v Kerry All Ireland Final Reply on the 23rd October special arrangements were made for what would be that iconic photograph of the survivors of the GPO Garrison at Croke Park. Special arrangements were made for Dutton Cooper and ICA colleague Paddy Devereux to be brought from the South Dublin Union to the session. Both were late, and neither appear in the published list of those in the picture. However according to journalist Annie Kelly they arrived in time for the photographer. If this is correct it is the only known photograph of John Dutton Cooper. Unfortunately as there appears to be no actual key to who is who in the shot we may never know what Dutton Cooper looked like. After the session those present passed a hat around for their two colleagues being particularly disturbed that Dutton Cooper had to hand up five of his six shillings pension to the Hospital. John Dutton Cooper died on the 1st July 1943 of a rare form of liver cancer. He was 70 years old. His family, then in poor circumstances, had great difficulty with the financial burden involved with his funeral. The following April in the Dail James Larkin asked Minister for Defence, Oscar Traynor, whether he would consider John Dutton Cooper’s case and repay the funeral expenses involved. He also asked Traynor to associate his name with the National Graves Association. Traynor replied that if he was provided with the details he would consider it. There is no surviving evidence that he did either. Images sourced by Hugo McGuinness. With gratitude to Jimmy Wren, author of upcoming book on the GPO Garrison, for his ongoing assistance. Sources include: Bureau of Military History Pension files, ‘Labour News’ and other newspapers of the era.